You’re well aware of my love for the photo series. Lately I’ve wondered if I’ve chosen the right term when I have only two photos that match. My computer defines a series as “a number of things, events, or people of a similar kind or related nature coming one after another.” So a number can be two, right? If not, what I’m about to share is a photo pair. I’ve held this series/pair close to my heart but never had a good “excuse” to share it. 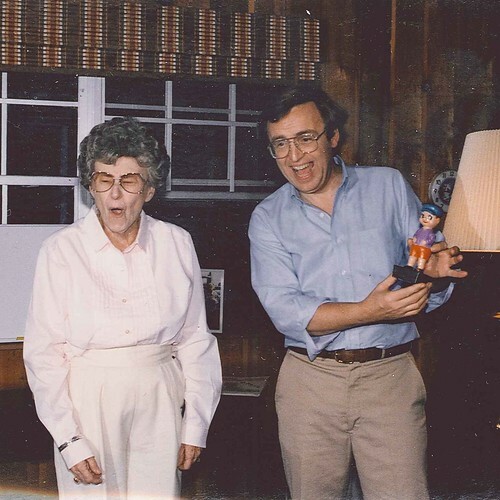 It dates back to the 1980s; that’s my mother reacting to what Paul demonstrated with that toy boy. See, you put water in a little reservoir and when you lower his pants he “pees.” Yes, it’s a little crude but also funny and that explains my mother’s face. 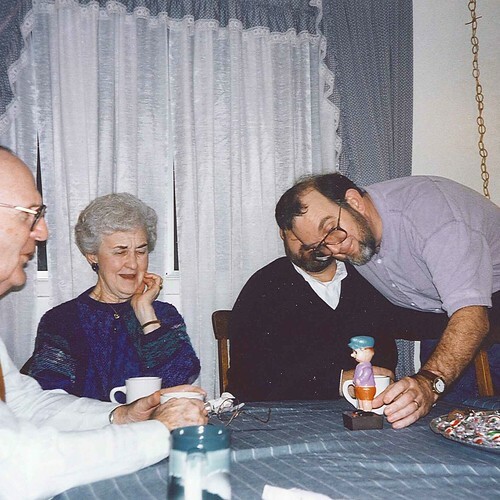 A number of years later we pulled out the pee boy to see how Mauri’s mom would react. Similarly, would you say? Clearly a series/pair! These pictures came out of the file because of a news story. Did you see it?